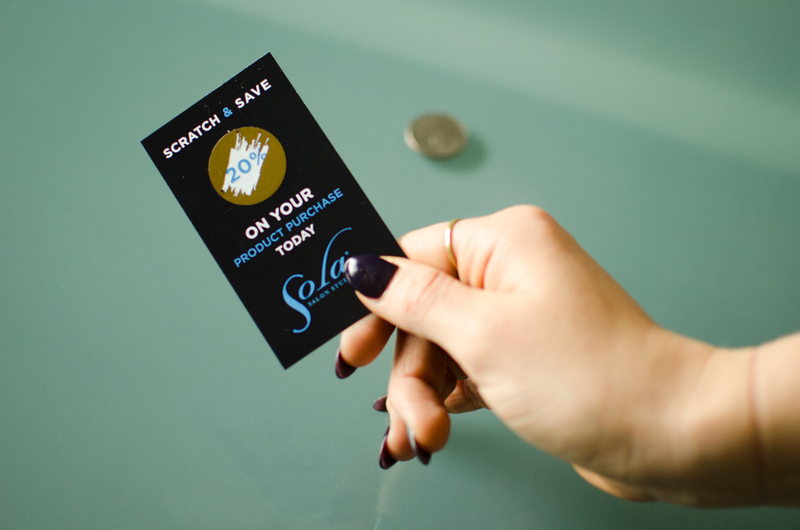 We have a new print option for you, scratch-off printing! It may not do much for that itch you had for the past few months, but they can be a fresh way to get your customers excited and engaged with your products and services. 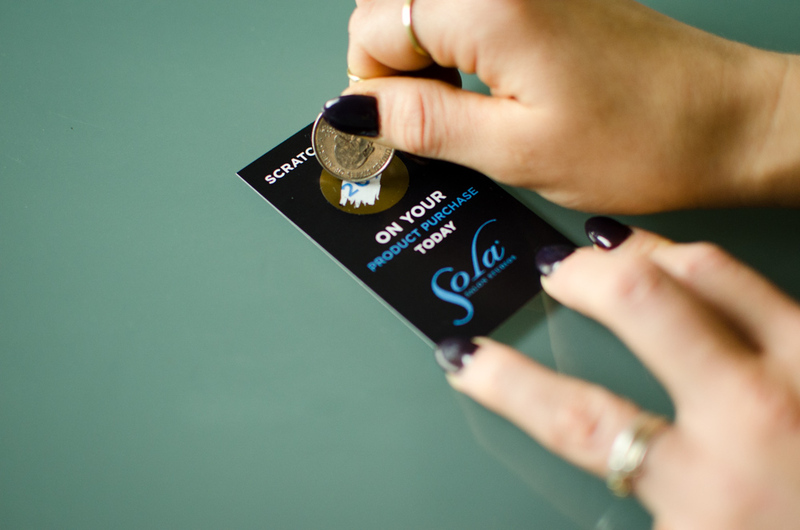 Take a look at what we designed for Sola Salon Studios. 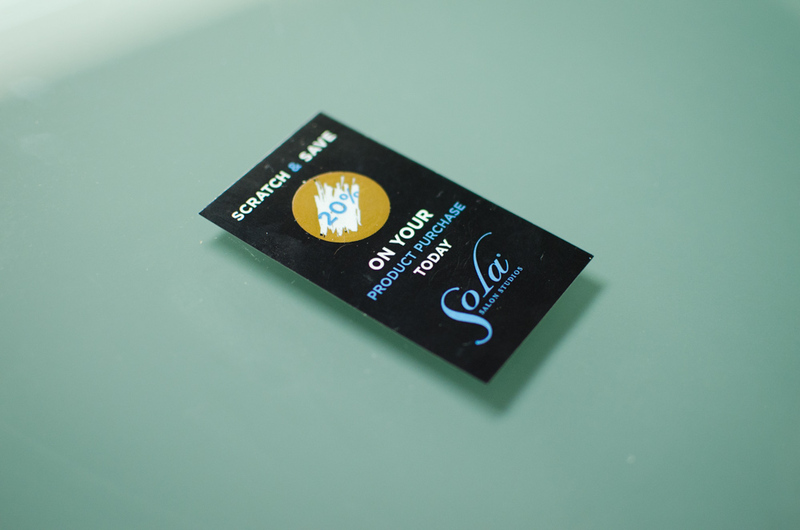 These cards are handed out when Sola customers get their hair cut (or all of them cut, har har har). 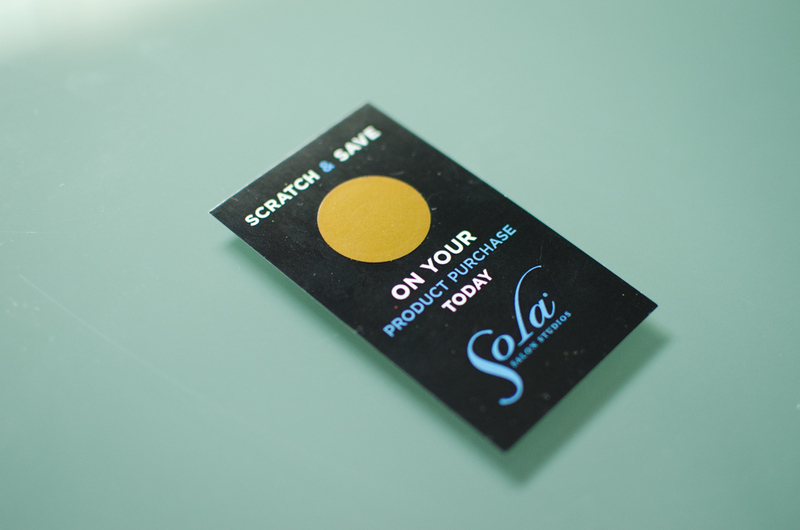 The customer can then scratch off the gold circle and receive one of several discount amounts off of in-store retail products. Come see us and we’ll find a way to rekindle the itch back into your customers.